Application for judicial review dismissed. A party seeking a remedy in damages must do so in an action, not in an application for judicial review. Kleana Power Corporation [KPC], proposed a run-of-the-river hydro-electric project on the Klinaklini River (the “Project”) in 2008 within the asserted traditional territory of the Da’naxda’xw/Awaetlala First Nation [DAFN]. KPC wished to submit a proposal in the 2008 “Clean Power Call” issued by British Columbia Hydro and Power Authority (“BC Hydro”), with a view to being awarded an energy purchase agreement for the sale of electricity generated from the Project to BC Hydro. 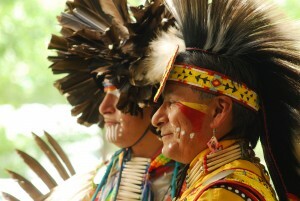 The DAFN considered the Project to be an economic opportunity consistent with their cultural and ecological interests. The proposed boundary of a protected conservancy, however, was within the traditional territory claimed by the DAFN, which created a barrier to the Project. Both petitioners say that in 2008 they received an assurance from the respondent Minister of Energy, Mines and Natural Gas (the “Energy Minister”). The assurance was that when the Project could proceed, but if KPC lost the opportunity to participate in the 2008 Clean Power Call due to a delay in amending the conservancy boundary, then the Energy Minister would direct BC Hydro to enter into negotiations with KPC for an energy purchase agreement at a price for power that was linked to the results of the winning bids in the call. The petitioners say that the Energy Minister’s assurance was clear, unambiguous and unqualified, therefore they acted in reliance on the Energy Minister’s assurance. They spent time and resources pursuing the boundary amendment necessary for the Project to proceed. The petitioners sought judicial review in 2010, of the refusal of the then Environment Minister to recommend to the Lieutenant Governor in Council an amendment to the conservancy boundary. The reviewing judge found that the Environment Minister had a legal duty to consult with the DAFN concerning their request for an amendment to the boundary with a view to considering a reasonable accommodation and had failed to fulfill this duty to consult (Da’naxda’xw/Awaetlala First Nation v British Columbia (Environment),  3 CNLR 188 (BCSC) “Da’naxda’xw 2011”). 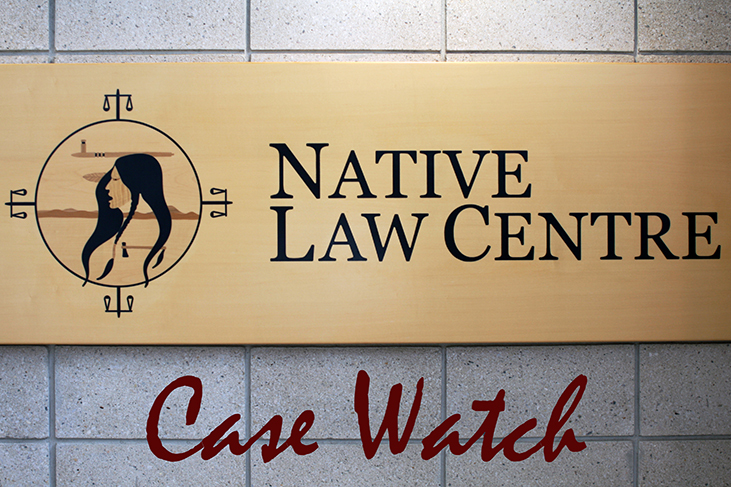 The Court concluded in Da’naxda’xw/Awaetlala First Nation v British Columbia Hydro and Power Authority, 2015 BCSC 16 (“Da’naxda’xw 2015”) that the petitioners had not established that they were entitled to any remedy on the administrative law grounds raised. But declarations were issued to the effect that the DAFN were entitled to further relief and a remedy in respect of the original breaches of the duty to consult. The petitioners appealed and the Energy Minister and Province cross-appealed with respect to the declaratory relief that was ordered. In Da’naxda’xw/Awaetlala First Nation v. British Columbia (Energy, Mines and Natural Gas), 2016 BCCA 163 (“Da’naxda’xw CA”), the Court of Appeal dismissed the petitioners’ appeal and ordered that the declaration be set aside. The cross-appeal was allowed and the petition was remitted for reconsideration of the remedy for the DAFN. This proceeding was an application for a judicial review. The Amended Petition was in part premised on the asserted failure of the Energy Minister to give a direction to BC Hydro consistent with what the DAFN alleged was the commitment given to them in 2008, and was how the application was framed, responded to, and argued. This petition has never been further amended nor was the Environment Minister named as a respondent. No relief was sought in respect of the consultation ordered in Da’naxda’xw 2011, or the actions of the Environment Minister in 2008. There was no pleaded case of a failure to comply with the Da’naxda’xw 2011 order. Since Da’naxda’xw have never sought leave to further amend the Amended Petition in any respect, no further remedy can now be granted as it is res judicata. Given the conclusions in Da’naxda’xw 2015 regarding the scope of the Minister’s commitment, and the dismissal by the Court of Appeal of the petitioners’ appeal, there are only two grounds on which to possibly grant a remedy for the DAFN: (1) the Environment Minister’s 2010 breach of the duty to consult regarding the request by the DAFN for an amendment to the conservancy boundary; and (2) the consultation that followed the Da’naxda’xw 2011 order, up to and including the Order-in-Council amending the conservancy boundary in June 2012. Neither can provide support for a remedy for the DAFN in the circumstances of this case. Whether the Environment Minister breached the duty to consult the DAFN in 2010 was the central issue in Da’naxda’xw 2011 and led to the remedy granted in that matter. It is a final order, and neither the Environment Minister nor the DAFN appealed. These cannot now be relitigated based on the outcome of Da’naxda’xw 2015 and the subsequent dismissal of the DAFN’s appeal in Da’naxda’xw CA. Where a pleading fails to fulfill its function, that defect should not be overlooked, even in Aboriginal litigation. “The trial of an action should not resemble a voyage on the Flying Dutchman with a crew condemned to roam the seas interminably with no set destination and no end in sight” (Lax Kw’alaams Indian Band v. Canada (Attorney General), 2011 SCC 56. The Amended Petition sought judicial review and relief only in respect of the conduct of the Energy Minister. The petitioners have never sought leave to further amend the Amended Petition. 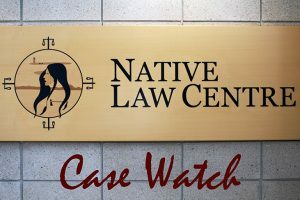 There was no complaint that there was a failure to comply with the order for further consultation or a breach of the duty owed to the DAFN that followed the Da’naxda’xw 2011order, nor was it asserted that the consultation was inadequate. A failure to plead the adequacy of consultation results in the issue not being properly before the court (Adams Lake Indian Band v Lieutenant Governor in Council, 2012 BCCA 333). Any further consultation concerning the decisions made by the Environment Minister in 2008 and 2010 could not lead to anything other than a discussion about some measure of compensation, in other words, monetary damages.